Welcome to the new home of Unhooked Communications – a Manchester PR and marketing agency specialising in creative campaigns and ideas. When it came to choosing a name for the new business, it took ages. It was harder than naming my children. When you decide what to call your baby, you simply pick a name you like the sound of. You’ll look at the meaning behind the name to make sure it doesn’t symbolise anything terrible. And, of course, you’ll compare notes with your partner that neither of you went to school with a bully, worked with an annoying colleague, or, worse, had a romantic fling with someone who shares the name. Other than that, it’s pretty straight forward. But when it comes to naming a business, it’s slightly more complicated. Firstly, you have to choose a completely unique name that no other company has. I spent hours on Companies House checking all manners of various phrases and words, getting more and more frustrated that even the most obscure of vocabulary combinations had already been taken. Then, you need to make sure the name has the right connotations. And this is where it all gets a bit ‘first episode of the new series of The Apprentice’. Synergy, Kinetic, KOTU (Kings of the Universe), Tenacity, Vortex, Infinity…oh how I used to laugh at these meaningless, ridiculous team names Sir Allan Sugar would mutter under his exasperated breath each week. But I was quickly falling into the same word association and synonym trap. It was time to step back and take a new approach. One of my main motivators when it comes to working in the communications industry is creativity and ideas. I love coming up with concepts for businesses which build the foundations of their communications activity. And the subject of creativity is an area I find fascinating. What makes a good idea? Can you teach yourself how to be more creative? What tactics can you use to help encourage inspiration to strike? I believe that the more you know, the more it can help power creativity. 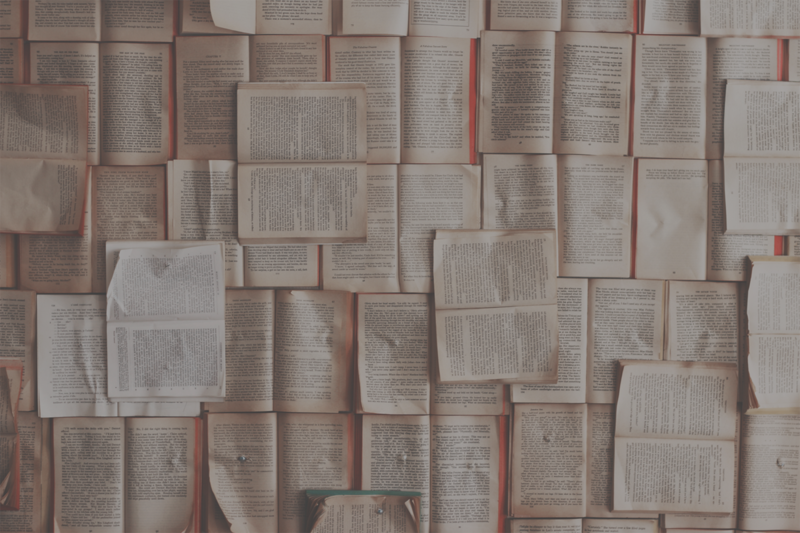 If you have an inquisitive mind, enjoy researching different topics and learn from your experiences and people around you, you start to collate your very own library of facts, concepts and memories which can all work together to form new connections and ideas. This is a notion that is explained much better than I ever could in A Technique for Producing Ideas by James Webb Young. But as well as spending time researching and learning as much as you can, you also need to take a step back and distance yourself from whatever it is you’re working on. How many times have you heard someone say they get their best ideas when they’re in the shower or walking the dog? Inspiration hits when you’re least expecting it. I love this quote. And there’s one word in particular which stands out to me. Yes, you’ve guessed it – unhook. Unhooked Communications. The more I thought about the name, the more I liked it. 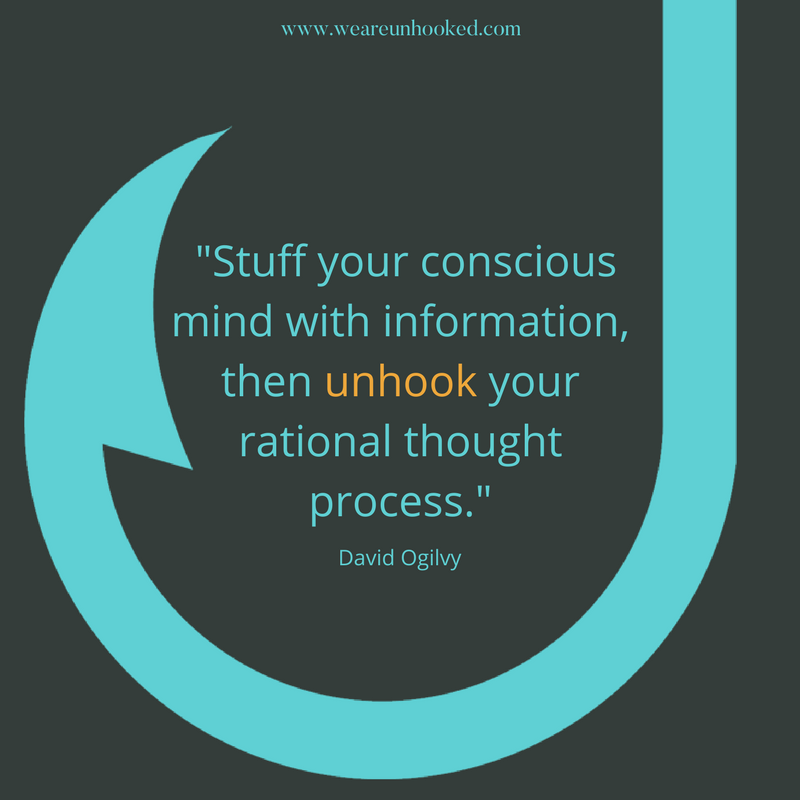 As well as ‘unhooking’ our rational thought process, I wanted us to unhook in other ways. Unhook from industry norms, unhook from poor service, and unhook from jargon. Instead, we’re hooked on what we do, hooked on businesses and people, and hooked on great ideas. And there you have it. The inspiration for our business name.